Net sarees are god sent savior for those, who like to look sleek and slim in 9 yards of sheer elegance. It is one versatile genre in the world of sarees, that can double up as both party wear and casual wear. The fine delicate finish of the net sarees, often look so exquisite on women. That’s why, a saree wardrobe will never get complete without the presence of a net drape. These net sarees often calls for statement blouse to make your saree style rich in look. The transparency of the sarees gives a wide spectrum for your blouse to shine through. Thus, it goes without saying that, it is very essential for you to pick a flattering designer blouse for your net sarees. Otherwise, you will be missing out an great opportunity to cast a memorable appearance with your sarees. Of course, the designer blouses that you can pair for a net saree are quite many. 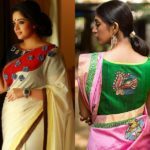 For your convenience, we have curated 11 easy going, perfectly wearable blouse ideas that will get along very well with your net sarees. Without wasting time, let’s move ahead and find out what are they! 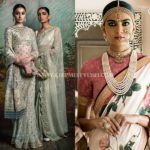 If you have a designer blouse itched with fancy stones, colorful beads, or embellished with bold motifs, then wearing them with a net saree is the fail-proof way to make it stand out. These blouses need space for others to appreciate its beauty. That’s why sheer net sarees makes for a wonderful combination for them to team up with. The frail net sarees gives out a fabulous finish when you worn them with an equally delicate floral themed blouses. There is some magic exist between these two grouping. That’s why you are bound to get a regal look when you put them together. Another way to make your blouse interesting when you wear net sarees is by opting for chic work around the neck and sleeve areas. Since net sarees are transparent, your blouse will remain the center of attraction. Creative bold prints on a longer sleeve blouse, makes a complimenting counterpart for your sarees. When you like to keep things subtle and don’t want to go for full swing fancy designs, then simply opt for a full sleeve blouse for your net sarees. That is enough to do the magic. Net sarees look radiant when worn with a simple, plain long sleeve blouse even without any work. When you invest so much on a deep thread work, then nothing can elevate your saree style better than a net saree. 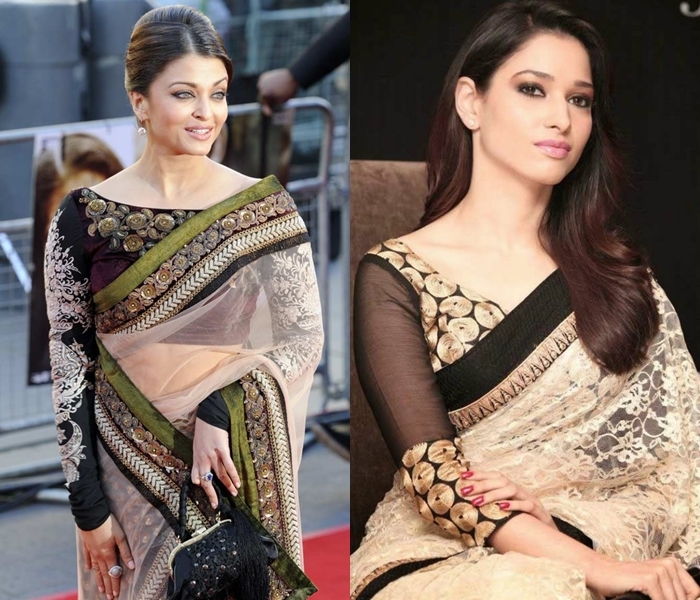 When you opt for this blouse style, make sure you go for darker shade of same color you choose for the saree. 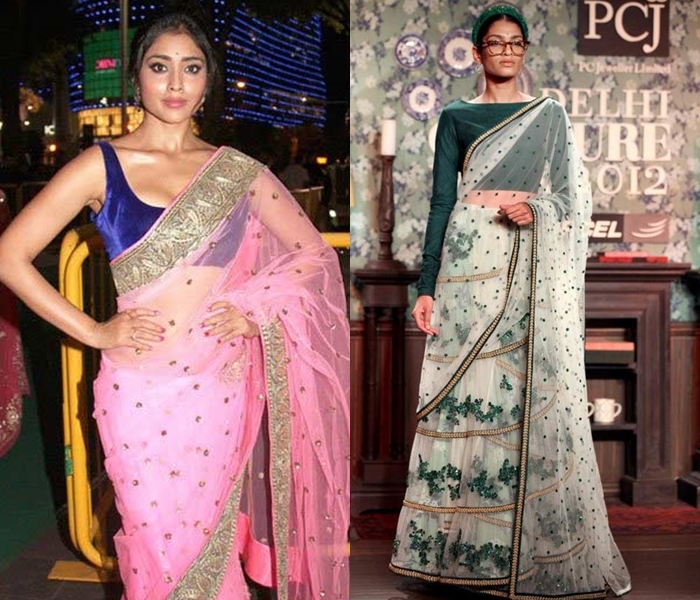 For example, if your saree is mint green, then opt for dark green as your blouse. If your saree is baby pink, make your blouse fuchsia. Hope you got the gist. We all know what a fabulous fabric velvet is! If you like to boost the richness of any outfit, all you need is to bring a velvet piece to your ensemble. They instantly perk up your dress and make it more desirable. That’s why velvet blouses makes a welcoming mix on a net saree, especially when you want to wear them for parties, dates or late night grand events. If you like to look trendy and on-point, then you need something creative as your saree’s counterpart. In that case, cold shoulder blouse is what you should be looking at. Cold-shoulders are being raved by everyone, not just on a saree blouse, but on lehengas, anarkalis and kurtis too. Hence, making them as your net saree partner will garner you a true fashionsita crown! Of all the enchanting work that is being done on saree blouse, nothing can beat the feminine feeling that comes along with small cute mirrors. Blouses intricately woven with glittery mirrors look so enchanting when it is worn with a translucent net saree. Another interesting blouse model which can do full justice for net saree is the shinning satin beauty. This fabric is so alluring to wear with net fabric as it tends to highlight the gorgeous work that is done on sarees. Couldn’t believe? Check out below on how a plain satin blouse imparts a stylish look for a simple off-white net saree. Just how neck and sleeve of blouse made with interesting work can look great on net saree, bold work on shoulders is another great way to make your blouse catchy. When you opt for this blouse model, make sure you go for high necks or boat necks, so your neck has enough space for bold work there. Below is a sample for how it should exactly be done. 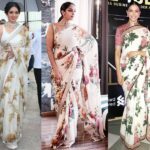 Even if you are weary of other blouse models, thinking it might be too much for a lucid net saree, then a simple sleeveless blouse can be your best bet. Style seeking women knows what a pleasure it is to go for a sleeveless blouse. They are in fashion for decades, yet women never get bored of it because of its unique style appeal. Try them with your net sarees and you won’t be disappointed. These are our picks of 11 designer blouse ideas that can look so good on net sarees. 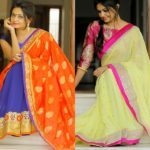 Bookmark this page, so you can come back whenever you run out of new blouse options to try with your net sarees. Also, let us know, how in general would you wear your net saree? Does our list have your choice of blouse? If not, let us know in comments on your most preferred blouse model! 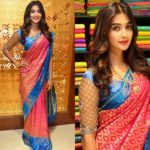 Next articleSamantha Gives Saree Style a Stylish Twist!